If you have ever lived through one of Ontario's legendary cold winters, you won't have to work hard to recall just how great a hot shower or bath can feel. Even washing your hands in warm water can help take the chill out of the coldest days. So the last thing you want to come home to is a water heater that is underperforming or has plain conked out. 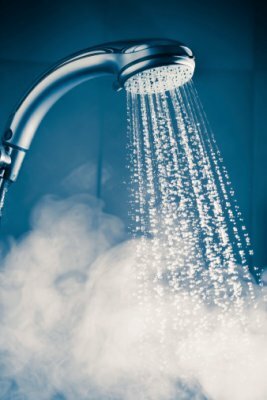 In this post, learn how to maximize your water heater's energy efficiency in cold climates. While there are a number of permutations of each of these, the following three water heater types represent your basic water heater choices (if you have a working water heater now, try to identify yours from the descriptions of each). Tankless water heater: As the name suggests, a tankless water heater functions "on demand" to heat water, but has no tank to store water. Conventional (with storage tank) water heater: This heater type always has some water in the tank ready for heating. A conventional water heater can use electric, gas, oil, or propane for fuel. Hybrid water heater: This heater type is considered a hybrid system because it pulls part of its energy from an attached heat pump. Different models and some hybrid heating systems will run on electric, gas, propane, fuel oil, or even solar energy (or some combination thereof). The colder the climate you live in, the colder the surrounding ground water will become in winter. This will make your heater work harder to heat the water to your desired temperature. Example: You live in a climate where the groundwater averages 30ºF (-1ºC). Most people like their water heater set at 120ºF (48ºC). So the water heater will have to heat the water up 90ºF (32ºC) temperature points before you can enjoy bathing in it. This will take a lot of energy! So in this scenario, you will want to select the most energy-efficient water heater type you can find that will also accommodate your household's average daily hot water needs. There are two situations you want to avoid at all costs during periods of extreme cold. The first is not having hot water when you need it. And the second is getting overzealous and scalding yourself in a last-ditch attempt to make the hot water last. These six tips can help you help your water heater deliver its best performance when outside temperatures drop (for safety reasons, much of this work should be done before or in between periods of extremely cold weather). Here, you will want to take a look at the location of your water heater and see how warm/cold the ambient temperature is. If you find that it is quite cold, this may be an indication you need to better insulate the area around your water heater by re-caulking windows, installing door draft guards, and plugging up other drafty cracks. In the same way, if the pipes your water heater relies on to send water around to other areas of your home are exposed to cold temperatures (even indoors), insulating them can keep the water hotter for longer until it reaches its destination. New energy-efficient water heaters are now required to come with additional surrounding insulation. But if you have an older water heater that is still functional overall, you can try wrapping it up in a special thermal blanket made for water heaters (you can buy an insulation blanket kit with instructions at most home improvement stores). This is just a precaution to ensure your thermostat and/or heating source are working the way they should. By installing low-flow faucets and fixtures, you will reduce the overall hot water use in your home, thus easing the cold weather burden on your water heater. If you have a water heater that uses a tank and runs on electric power, you can install a timer to keep the water heater from running all day and night. Set the timer to turn on about 60 minutes before your typical first use of the day and to turn off while the house is empty. If these six tips don't produce a noticeable improvement in your water heater's performance during winter weather, it may be time to consider swapping your existing water heater for a new energy-efficient model. Water heater operation can represent a huge drain on your household's monthly energy use—up to 17 percent of your monthly use, according to some experts. As well, some homeowners have ended up paying more than they should for energy by failing to evaluate the cheapest local energy source. For example, if gas is cheaper than electricity where you live, then purchasing a gas-powered or hybrid electric/gas-powered water heater just makes smart financial sense. The good news is, the great majority of water heaters on the market today are much more energy efficient than their predecessors, so once you have paid off your initial investment, you will enjoy monthly energy savings thereafter. Contact Shipton's Heating & Cooling at 905-549-1616 for help choosing the best new water heater for your needs.